Waterfront Park is a popular spot and is sure to be crowded anytime of the year. But don’t let that stop you from enjoying its charms, just be prepared. Depending on the age of your children, you’ll want to make sure they can run, jump, splash and play so be sure to bring towels, swimsuits, sunblock, a change of clothes and plenty of water and snacks. The park is a perfect way to burn off steam after sightseeing; it’s open until 10pm daily and fountains are on from 11am until 7pm. 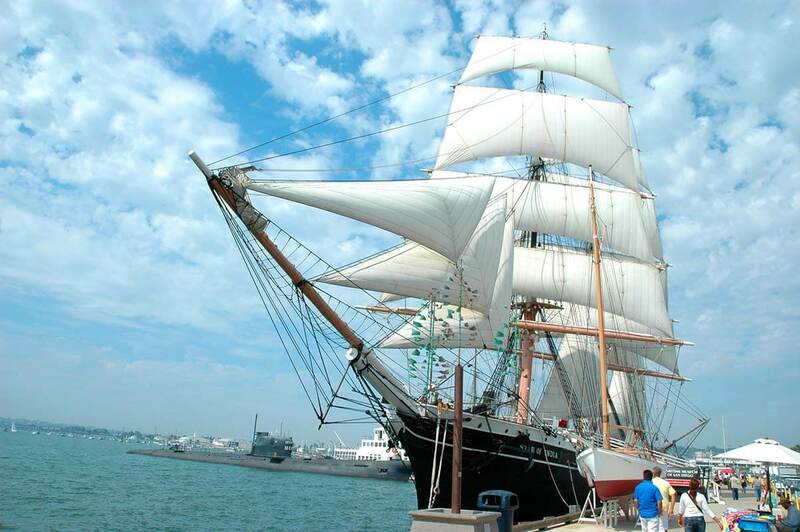 Home to one of the world’s finest collections of historic ships and the oldest active ship the Star of India, the Maritime Museum of San Diego is one of the city’s most well-known attractions. Admission to the museum includes boarding and touring the numerous sea vessels including steam-powered boats and submarines. There are several interesting exhibits, some visiting and some permanent, that feature historic photographs, artifacts, 3D and interactive displays and more that share the maritime history of the city and many of the ships. The largest Little Italy in the United States, this 48-square-block neighborhood was once home to generations of Italian families and the thriving tuna industry. Today, it’s well-known for its dining scene, where sidewalk cafes and restaurants serve up an array of enticing cuisine. Chic boutiques and shops, craft breweries, urban wineries and art galleries are also here, making it a popular spot for residents and visitors. 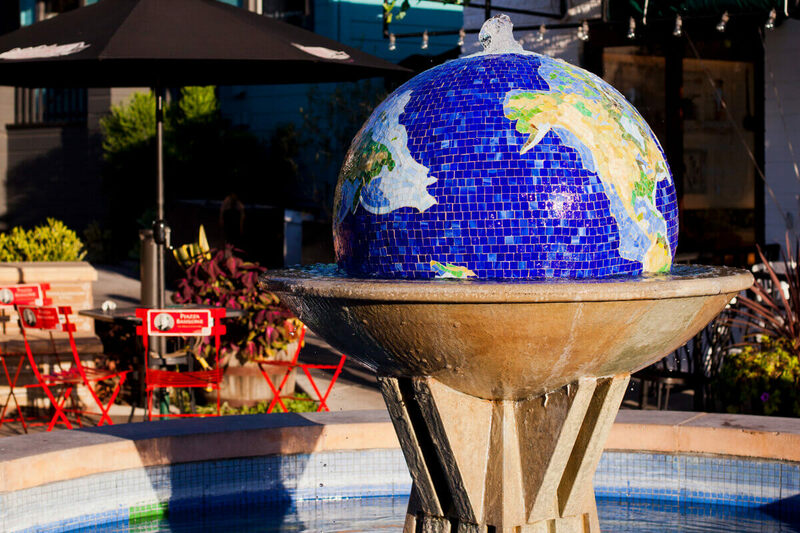 For an unforgettable meal or dessert, to pick up the perfect gift or to simply enjoy a walk as you window shop, be sure to include Little Italy on your San Diego itinerary. Located in Little Italy inside the former home of San Diego Fire Station no. 6, this unique museum is a local treasure and makes for a fun stop on your city sightseeing agenda. Adults and kids of all ages will enjoy seeing some of the oldest firefighting items, including a horse-drawn steamer, La Jolla’s first fire engine, firefighter buckets, firefighter uniforms and many more items that date back more than 100 years. There’s a special area where little ones can try on uniforms and play. The staff here are all volunteers, many of whom are retired firefighters who enjoy sharing the interesting history of firefighting with guests. 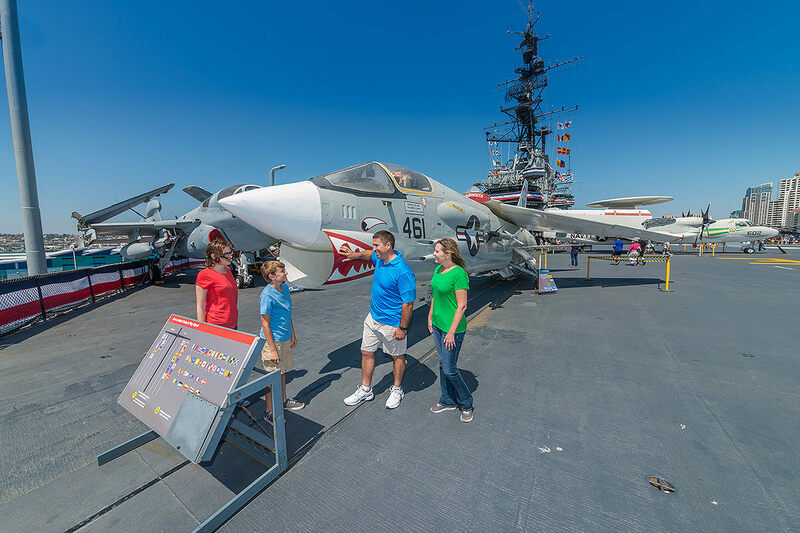 Just a short distance from Waterfront Park at the Navy Pier, the USS Midway Museum is a popular family attraction in San Diego. One of the coolest things about this museum is that it’s located on a historic aircraft carrier! But that’s just the beginning. There are more than 60 exhibits, a flight simulator, 29 restored airplanes, aircraft you can climb into, cockpits to explore, ejection seats to sit in and numerous interactive activities for all ages. Don’t miss the inspirational multimedia movie about the Battle of Midway in the theater. Of course, you’ll learn all about the history of the aircraft carrier and about what life was like for those who lived and worked on one. Plan on spending a few hours. Less than two miles from Waterfront Park, the New Children’s Museum fosters creativity and imagination and is a perfect stop for families during a San Diego vacation. Hands-on art-making exhibits, including making puppets, painting a truck and creating with clay are just a few of the experiences little ones can participate in. There are also climbable structures, art pieces, a garden area and the Sketch Aquarium (among many other awesome activities), which (using the latest technology) allows kids to draw their own sea creature and then watch it come to life on a giant screen. They can even feed it and watch it swim away. Plan on spending at least two hours here, depending on the age of your children. It’s both a tour bus and a boat — and the most unique sightseeing tour you’ll ever take in San Diego. This land and sea adventure takes place on a hydra-terra vehicle, designed to go from land to water and back again without missing a beat. 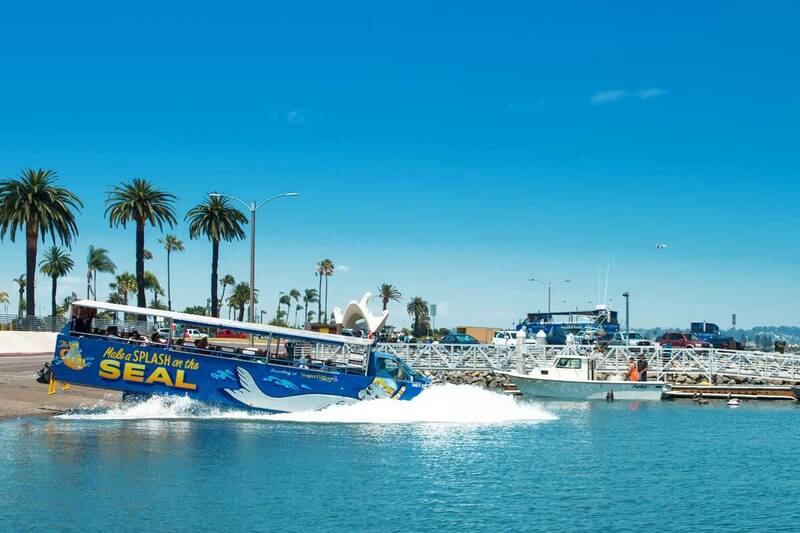 This tour will treat you to awe-inspiring views of the San Diego Bay as you cruise along the water learning fascinating facts about the area’s eco-treasures, including the California Sea Lion and rich maritime history. The 90-minute tour first transports you through the lovely city streets of San Diego before making its splash into the harbor. Ideal for adults and children of all ages. This 16 ½ block historic San Diego neighborhood is home to nearly 100 Victorian buildings and is on the National Register of Historic Places. 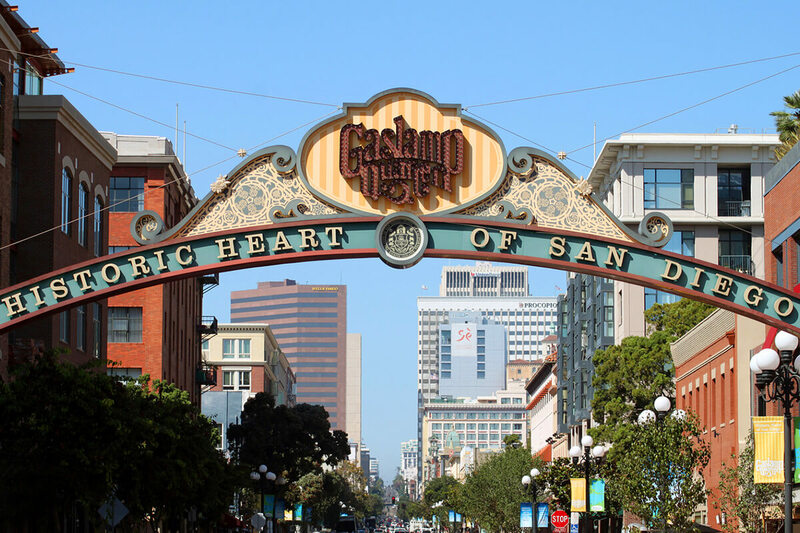 Rich with history, the Gaslamp Quarter is a top choice for dining, shopping and entertainment — including many bars, nightclubs and theaters. If you’re visiting at night, you’ll notice the neighborhood come alive with folks ready for an evening out on the town. Not your ordinary burger or anything else for that matter. This relaxed, casual restaurant serves up burgers made from grass-fed beef, turkey burgers made from cage-free turkey and salads made from locally sourced organic produce. They also have chicken, hand-cut, made to order French fries and onion rings and much more. Located in Little Italy on India Street. For Latin American fare with a modern twist, head to Indigo Grill. Dig into everything from fresh ceviche to skewered and grilled meats, fresh salads, small plates, flatbreads, tacos and much more. Wash it all down with one of their hand made cocktails! For authentic Italian cuisine, Sorrento is a top choice. Also in Little Italy, they capture the true art and flavors of Southern Italy in all of their dishes. Whether you’re craving a thin crust pizza or pasta, you’ll find their menu full of palatable possibilities. They also have an extensive wine list to go along with your meal. After enjoying a healthy, plant-based meal at this unique café, you’ll not only be satisfied, you’ll also be grateful. This special restaurant chain is dedicated to serving up delicious and nutritious meals including bowls, salads and more made from fresh ingredients such as raw zucchini, kale, tempeh, avocado, black beans, squash and much more. 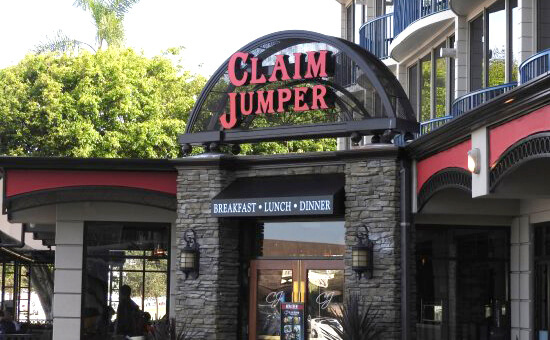 A great restaurant to bring the entire family, this local favorite has it all. From baby back ribs, burgers and steaks to fresh fish, rotisserie chicken and sandwiches, there’s something to please even the pickiest of eaters. They’re well-known for their home made baked goods and desserts, including six-layer chocolate cake, pies and more, so save room! Although their menu changes daily, you’ll find there’s always something you’ll want to devour at this San Diego restaurant. Fresh octopus, shrimp, ceviche, oysters and crab are just the beginning. At Ironside, they manage to serve up everything a seafood lover could be dreaming of and more. For Asian fare in a relaxed, contemporary atmosphere, Shino is the place to go. They’ll satisfy your appetite for sushi and other Japanese favorites. 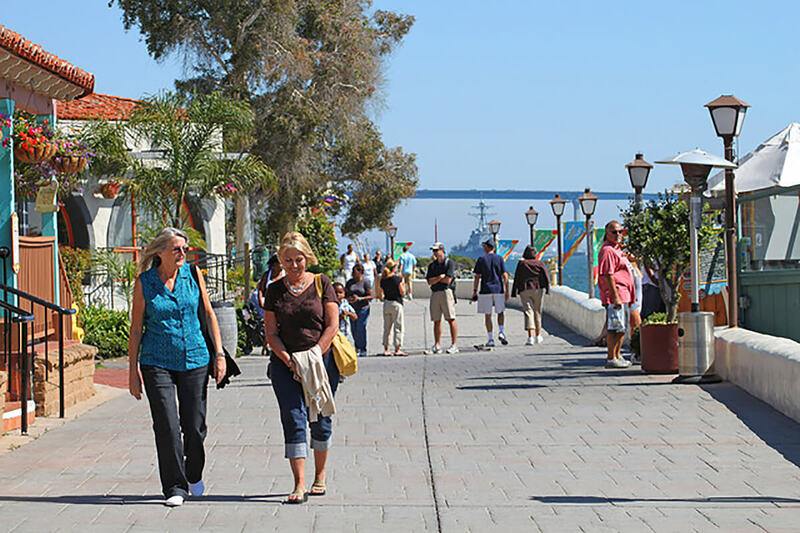 With more than 45 shops, Seaport Village is sure to have anything and everything you’d be looking for. From clothing and accessories for the whole family, books, cooking and kitchen items, to art, bath and body, souvenirs, holiday and household items, this waterfront venue has it all. Whether you’re looking to pick up something to remember your San Diego vacation or in need of something particular, you’ll find it here.